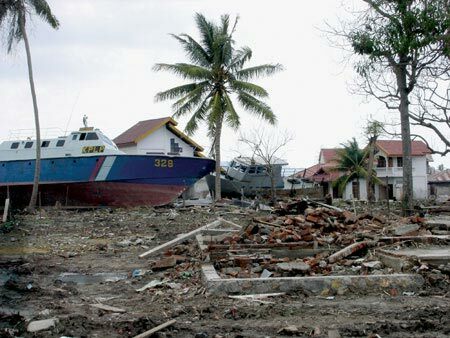 Heard about the RTTL possibly washed ashore in Banda Aceh following the Tsunami. I have looked at all the news feeds that I can find and so far all I have turned up are steel launches of about the same size. Has one of these been confused with an RTTL or have I missed one somewhere? This other one certainly does look like a '50s Vosper build (save the apparently horizontal planking) they used to have a yard in Singapore so it could have been built there. for the record, the Mk.1A RTTL was powered by three Napier Sea Lions using wing props of 26"dia x 22.5" pitch, and centre prop of 21.5"dia x 16.7" pitch. When converted to MK2 all had twin L/H props of 33" dia x 37" pitch. The gearboxes were V drives at 1.54 -1. The performance of the Mk.2 was as follows. 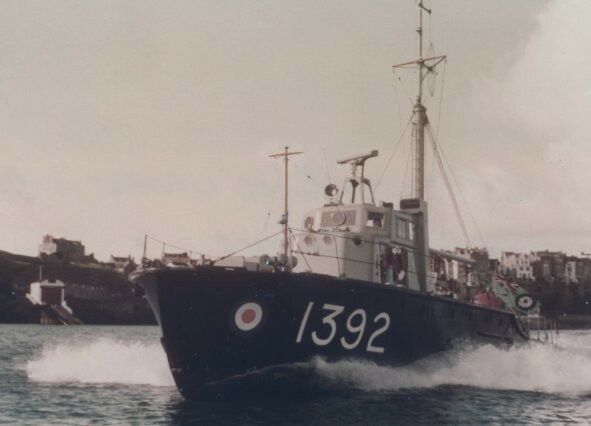 All RAF craft had L/H props except for Pinnace 1381 when she was an experimental boat with Thornycroft gearboxes in place of the standard Mathway type, and the two Turbo charges Pinnaces 1391 and 1392. 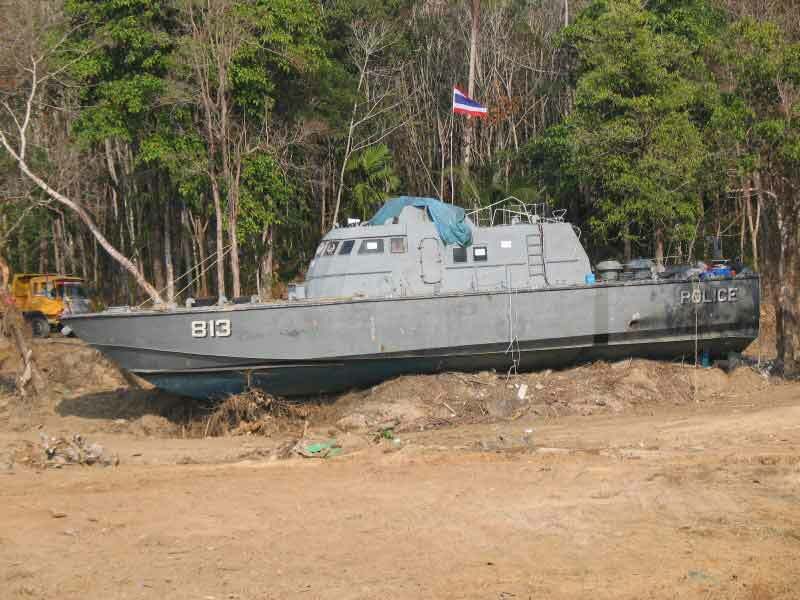 I also recall one 43ft RSL being tested with Thornycroft gearboxes but will have to dig out her number. Only One RTTL ever achieved 50kt plus that was 2772E in her early days. well before I joined marine branch. I served on 2758/68/71 in Malta, and occasionally on the one in Gan in 1973 which number escapes me at the moment. I am still in contact with others that served on RTTLs and with hand on heart and inter boat Bull**** aside depending on hull condition a max of 37-40 kt would be the norm if you were lucky, on the odd occasion when we were allowed to override the governors and get a few more revs the fastest I have ever been on in a 'ttl was 43kt, how the coxswain measured that was a mystery as the Chernikeef log was showing a constant light or flashing so fast that it looked constant. 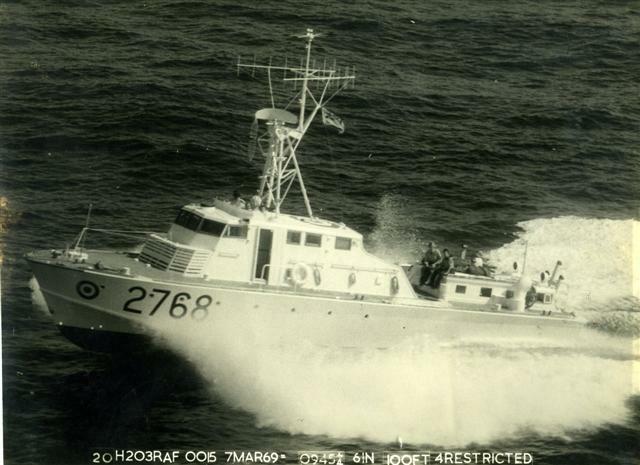 That boat was 2771 shortly after a re-deck in 1969, she was weed free and light. There was A very good reason that we did not do those speeds very often, the fuel consumption was ridiculous, you could be dragging nearly 200gph per engine per hour. The other reason was of course that if there was any kind of sea running it was damned uncomforable. 30kt was a good cruising speed; until of course you saw a frigate there were not many skippers that could resist the temptation of doing a few 40kt circles round a frigate. picture attached is 2768 at about 38kt. The skipper was Fl/lt Fosh, later to be Gp/capt, and DMC. M/Coxswain Sammy Hall, the fitters on the engine hatch Ch/techTom Weldon and nearest camera, little ol' me. The first RTTL I ever was operational on. Just visited RAF Museum Hendon this 1/2 term and pleasantly surprised to find proper boats out front!! (Actually couldn't belive what I saw and nearly flattened the parking attendant.) One is 2757 68' Air Sea Rescue Launch the other a 64' ?? (not sure as kids dragged me off to look at jets and bombers!!). They are both cracking looking boats, what was the shorter boat? Is there any info on the website or elsewhere about them? Was surprised to see that RAF Museum doesn't mention them in the guide or show them properly on their website. Has anyone any idea how many other land-locked exhibits there are? 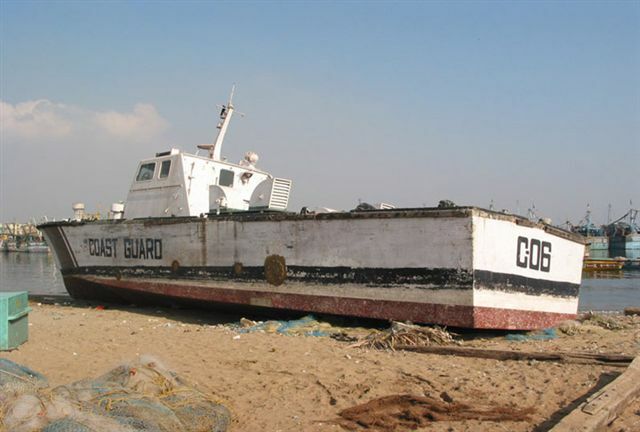 They looked in pretty good condition, I wonder when they were last at sea? If anyone can point me in the right direction it will save me having to go back and read the plaques again. cofrada, nice to see another server on the site like webfoot with practical experience of RTTL's, I have the throttle box off 2772E as she was scrapped locally, during my research on this boat it appears that she may have had uprated engines when new whilst Vosper "showboated" her and she also appears to have carried test equipment, but as you say thrashing about at 40kts is very hard on the petrol and the crew's innards.